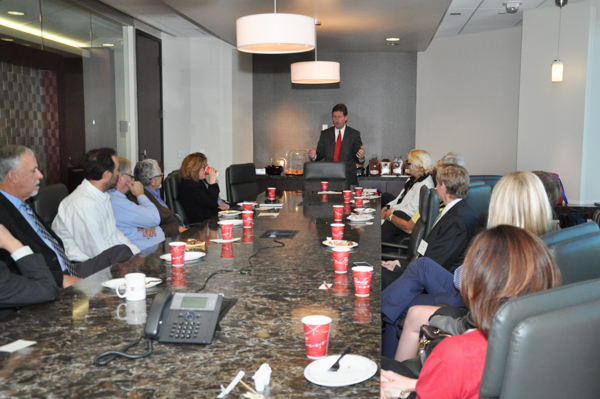 Recently, the Penn and Wharton Alumni Club of Arizona met with Phoenix Mayor Greg Stanton for breakfast at the law offices of Tiffany and Bosco, P.A. ; organized by club Board members Alan Sandler and Chris Kaup, we started with Mike Tiffany and Mark Bosco, the founding partners of the firm, greeting the guests. 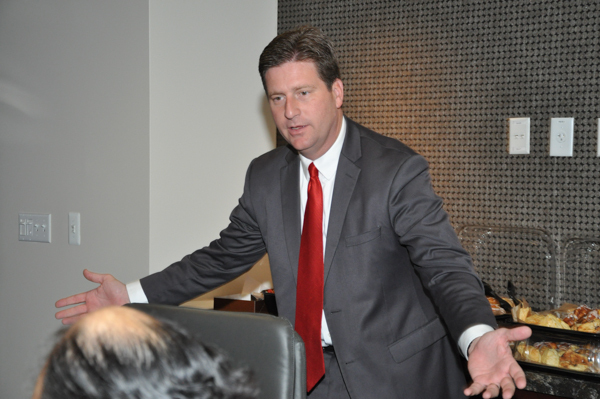 As soon as Mayor Stanton arrived, he worked his way around the conference room, greeting each group of attendees. Mayor Stanton reminded us that we are living in an international economy, and the city has an export readiness initiative, creating opportunities for small and medium sized businesses to learn how to trade. A Phoenix trade office has been set up in Mexico; trade will double in 5-years. 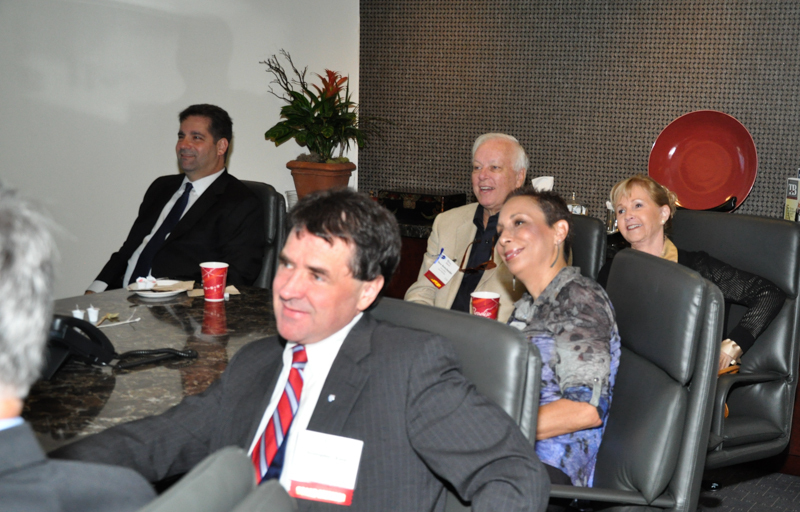 The mayor also pointed out that Canada too conducts significant commerce with Arizona. EDUCATION – To ensure that Phoenix continues to provide a labor force that supports business growth, the city needs to work with and support the poorer schools. 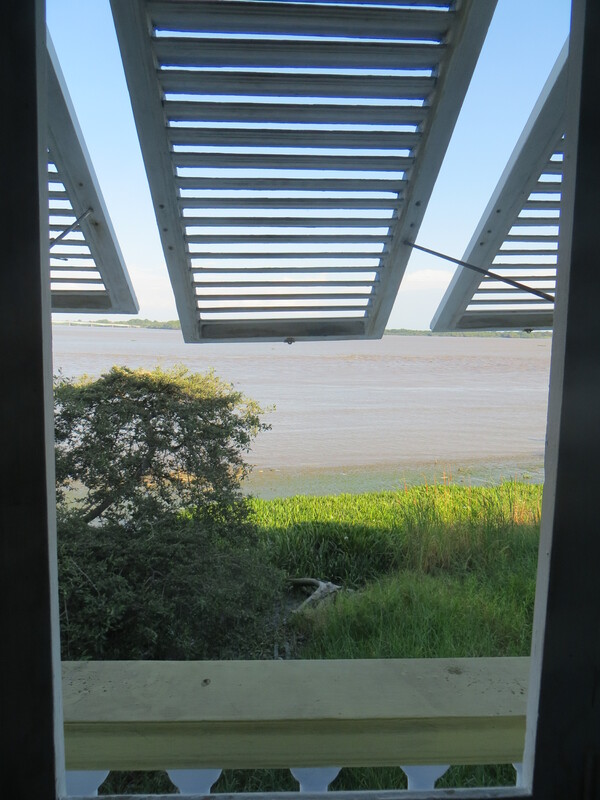 WATER – we are in the midst of a 14-year drought, and need to adopt various conservation considerations now. Among other initiatives, Phoenix and Tucson joined in an agreement relative to water sharing issues; which was a major step for both cities. TRANSPORTATION – The city needs to address and expand the rapid rail system. Part of this is being driven by the rapid and considerable growth of Grand Canyon University. The Mayor kept us interested and smiling, and we enjoyed a lengthy question and answer session following the mayor’s remarks. Before and after, there was plenty of time for networking. The Penn Club of Chicago brought the holiday cheer early this year with a fantastic event – the Penn Holiday Party! Attracting around 100 alumni to the Wicker Park- Bucktown area, the event reunited fellow Quakers from all different classes. 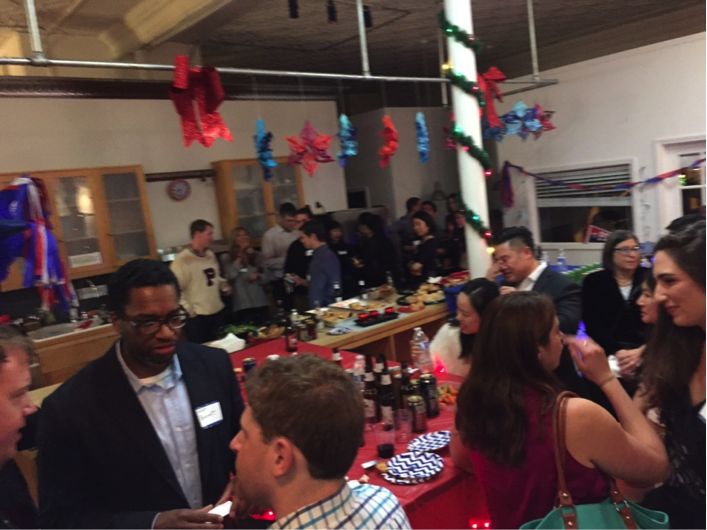 Thanks to the generosity of Liane Jackson (C’93), who opened up her space, the Free Range Office for the night of festivities, the venue transformed into a Red and Blue/ Holiday/Winter Wonderland extravaganza. I was happy to be a part of the event planning committee, led by Alexandra Leska (C’13) and felt so proud of the immense school spirit and the “go-getter” Penn attitude everyone brought to make the event a total success. No matter where they have been and how long ago they have graduated (from since last may to the 60s), Penn alums bonded over the commonalities they shared from attending our beloved alma mater. 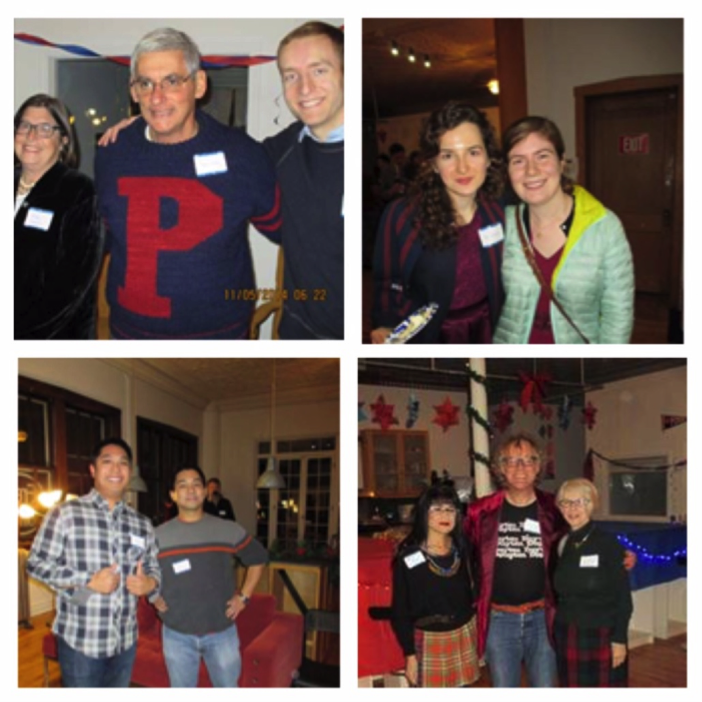 The Penn culture was evident throughout the crowd – as the social, easy-going personalities intermingled and filled the room with laughter and lively conversation. It was heartwarming to see everyone come together like one big family. While cheerful jingles played in the background, alums gathered at the various stations of the room. 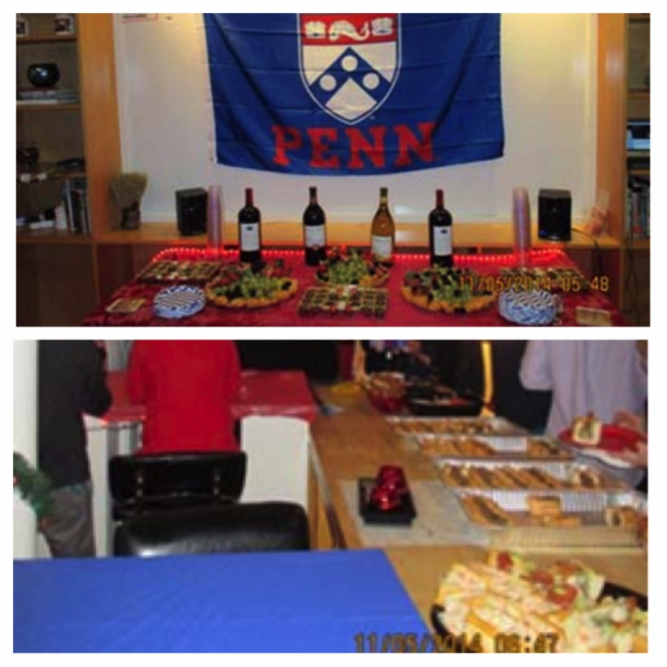 Underneath the Penn flag was the wine/chocolate pairing table. 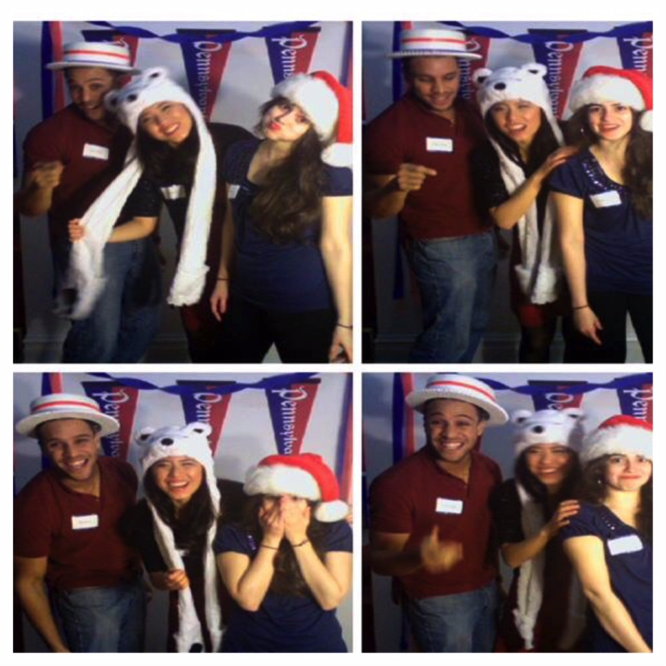 A Penn-themed photobooth entertained various groups of alumni, who donned the Hey Day hat (probably first time since junior year) for a picture. 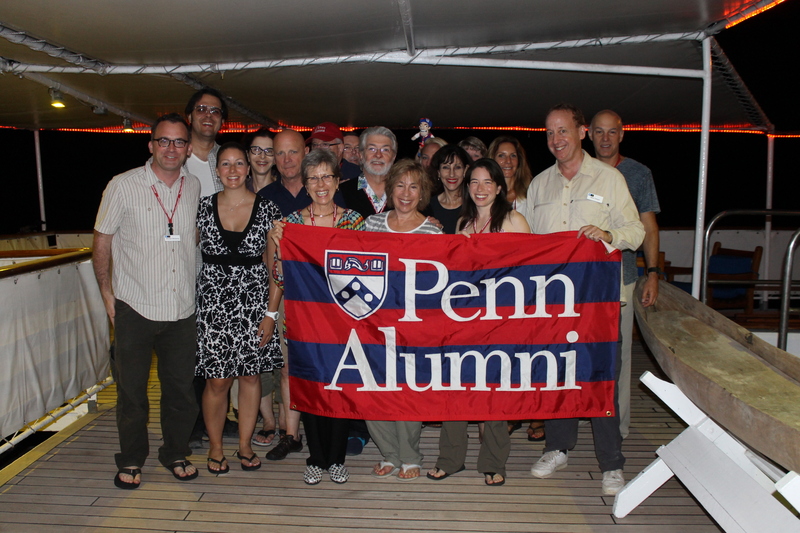 Alums bought raffle tickets at the entrance for a chance to win Penn memorabilia and other prizes. A piñata hung in the center of the room, because why not? At the back of room was the beer tasting station, with a dozen various types of beer thanks to Eric Wu (W’04) and MillerCoors. It quickly became a popular hangout spot, which Quakers dearly nicknamed “The Beer Garden” at some point during the night. Hey, Penn is the social Ivy after all. Some things never change. The main course at the party was a healthy combination of Philly cheesesteaks (provided by Mojo’s East Coast Eats) , hoagies, and pretzels. Nothing better to bring us back to our campus days than a large bite of chopped beef with Cheez Whiz on bread! Thanks to Laura Foltman (MS ’14) and the Penn alumni office, many people were able to win Penn memorabilia, including an antique Pennpoly 1st Edition game from 1991. 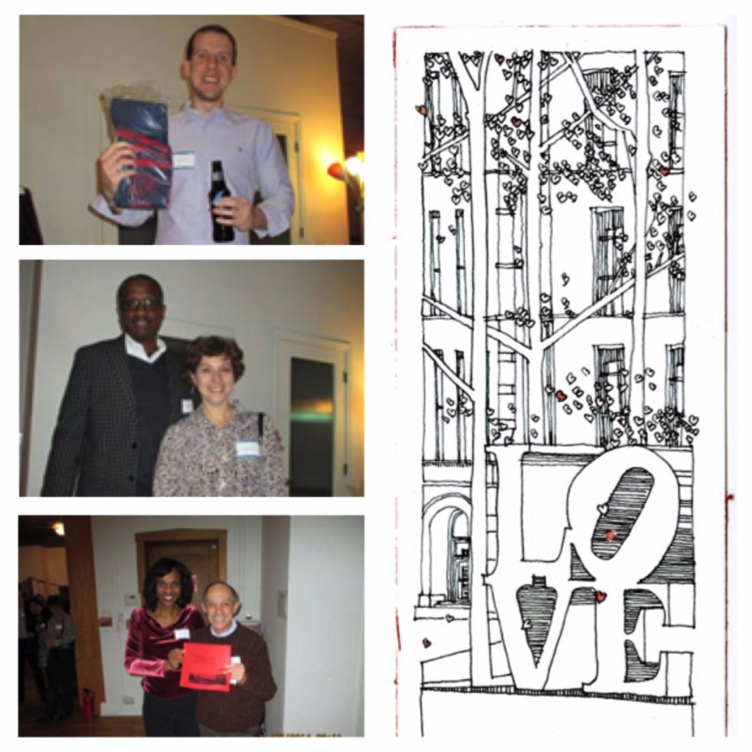 There were also some one-of-a-kind prizes donated by alums, including a special architectural drawing by Peter Exley (MArch ’90), a Jazz trio with Eric Williams (C’89), and party space for 50 people at the Free Range Office from Liane Jackson (C’93). One of the most exciting parts of the party was the piñata. 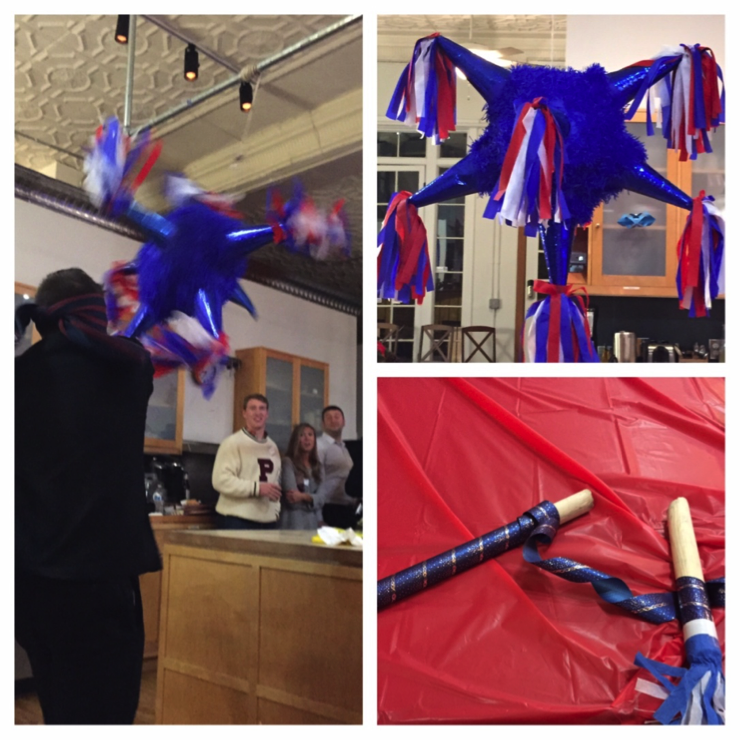 Several Penn alums were called from the guest list to take a shot on breaking the piñata. The first swing was an honorable effort. We quickly realized that the piñata must have been made from really tough material, since the stick snapped in half while leaving the piñata unscathed. After several tries but to no avail, the final candidate finally ripped it apart, as sweets fell out onto the floor among a lot of laughter from the spectator crowd. Overall, it was truly a memorable evening, thanks to the alums bringing the great energy to the party. One thing is for sure: once a Penn student, always a Penn student at heart! 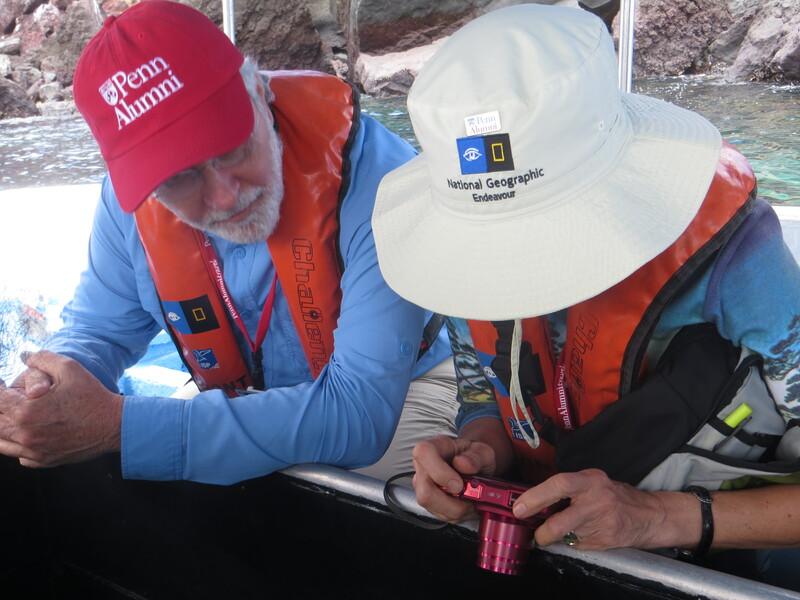 It’s been two months since Penn Alumni Travel returned from the Galapagos Islands, but few days go by without someone asking a question about our magical trip. Below are my answers to our Galapagos FAQs. 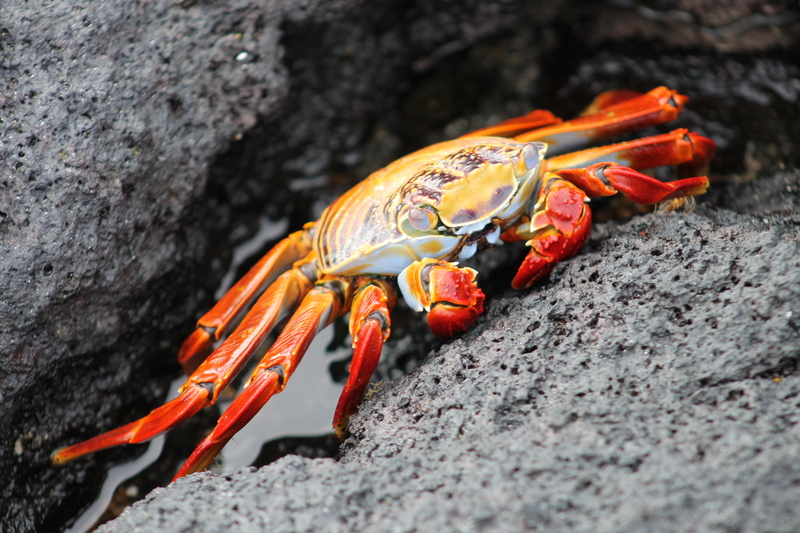 Do you have questions or want to join us for Machu Picchu to the Galapagos in December 2015? Click Here or e-mail PATravel@pobox.upenn.edu! 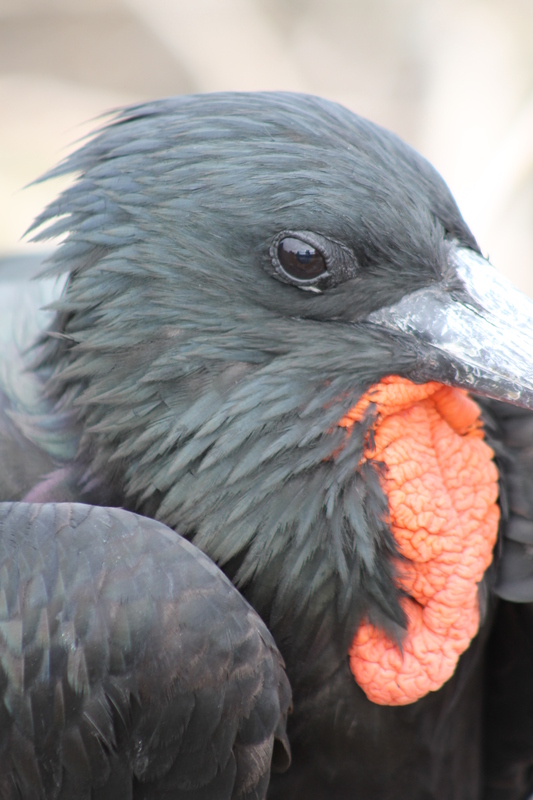 For many people on our trip, traveling to the Galapagos was a bucket list item and, for all of us, it was a trip of a lifetime. But other people I’ve spoken with aren’t quite sure where the Galapagos Islands are located. This archipelago of volcanic islands is located in the Pacific Ocean, about 600 miles west of Ecuador. 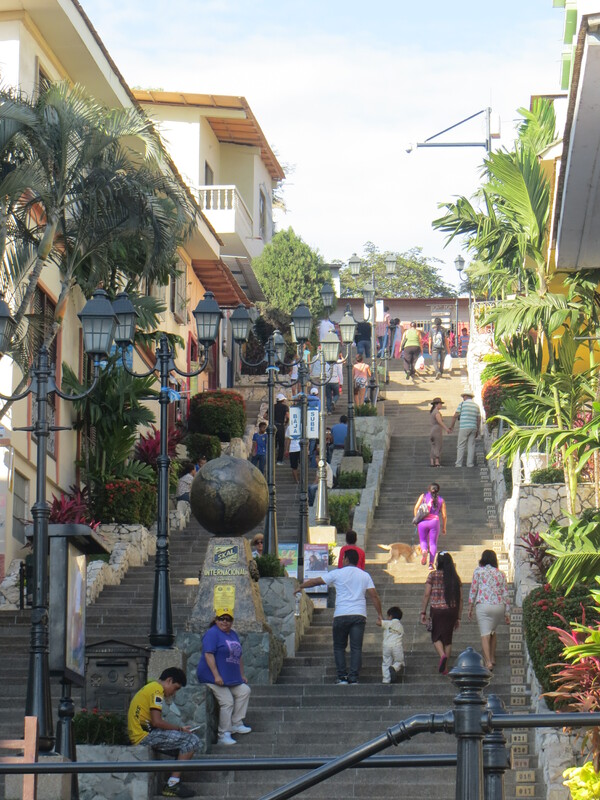 Part of the country of Ecuador, the islands are distributed on either side of the equator. 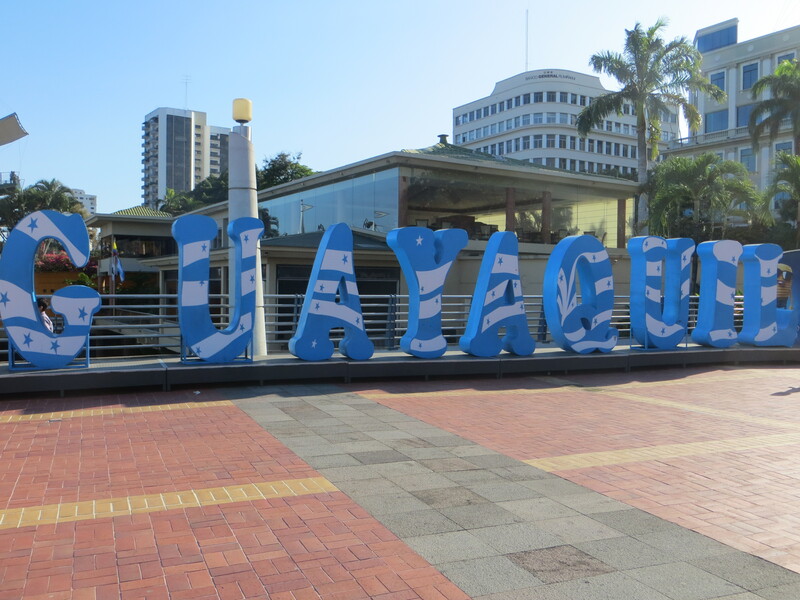 To reach them, we flew from the United States to Guayaquil, the largest city in Ecuador. 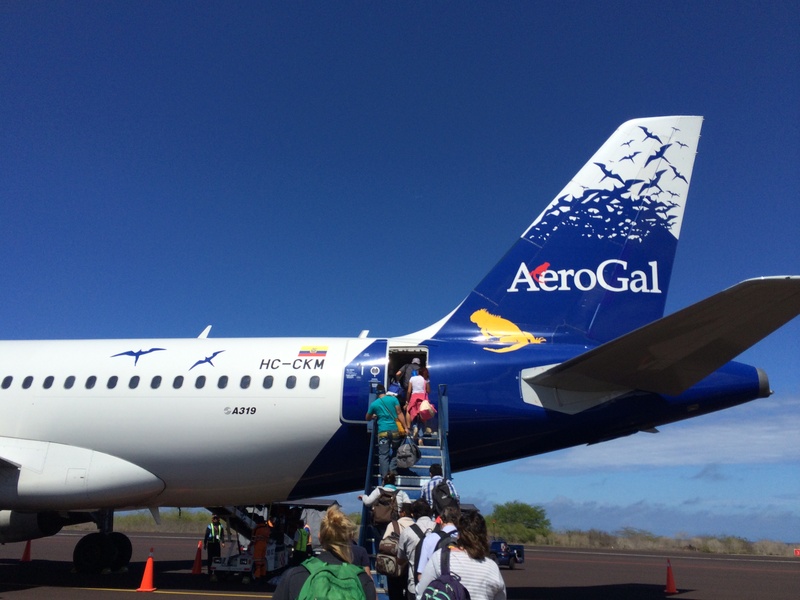 Next, we took a small plane to the Galapagos (Baltra Island, to be specific). 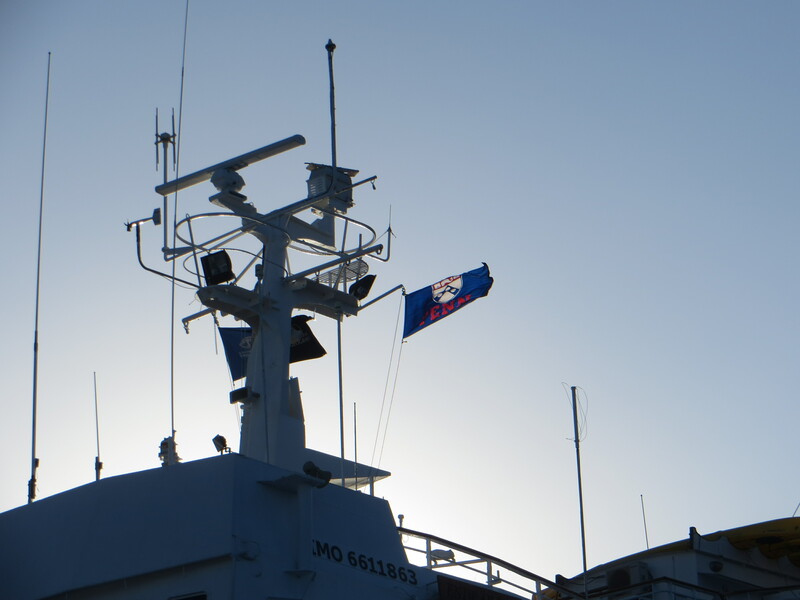 Once on Baltra, we received a warm welcome from our naturalist guides and boarded zodiacs to the National Geographic Endeavour. How were the ship accommodations? 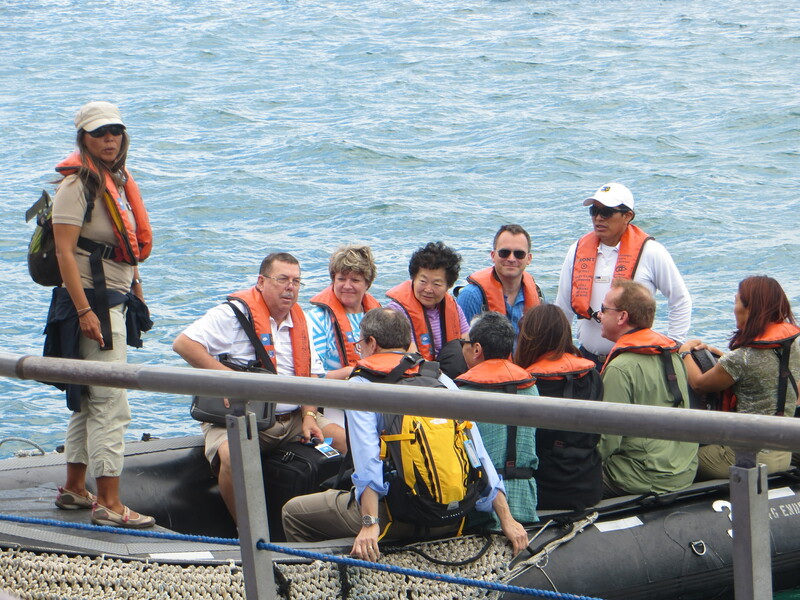 To explore the Galapagos, being on an expedition ship is a great advantage. 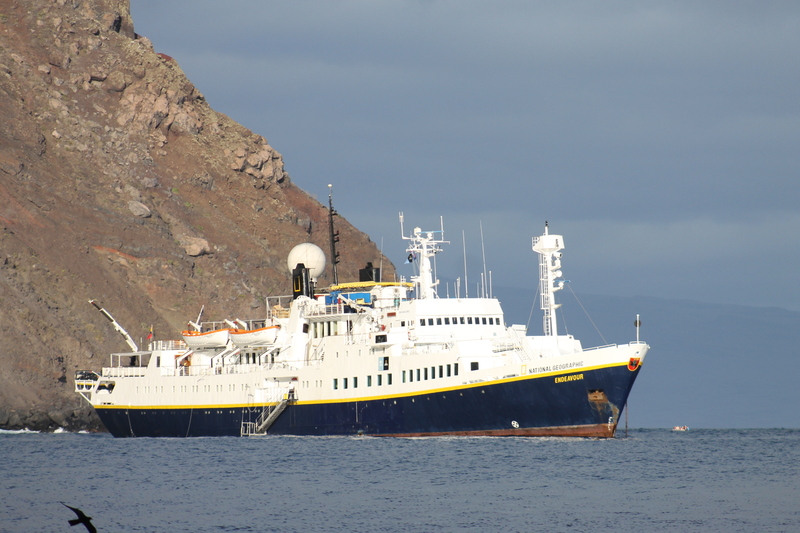 It carries snorkeling gear, kayaks, underwater cameras, a fleet of zodiacs, and a glass-bottom boat. With so many toys and so much to see, you’re not likely to miss the Lido! Besides, you’ll never find a traditional cruise ship with an “Open Bridge” policy like the one they have on the Endeavour. 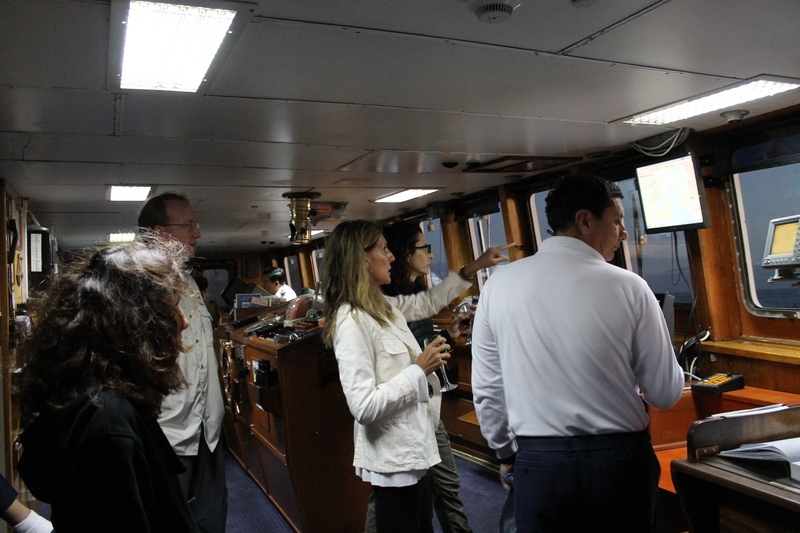 An open bridge means the captain and officers welcome guests any time of day or night and are happy to show you how the equipment works and answer questions about sailing and navigation. 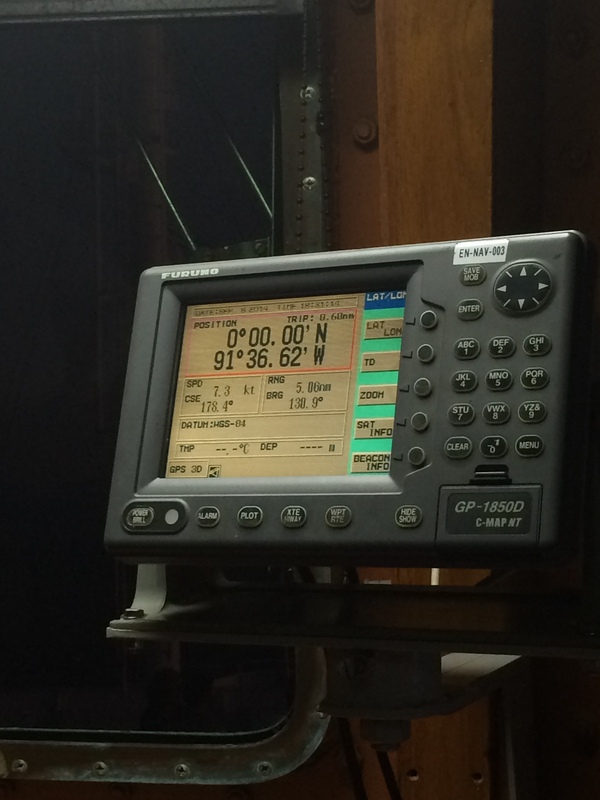 It’s truly fascinating to experience and I loved being in the bridge when we crossed the equator for the second time. How physically active was the trip? 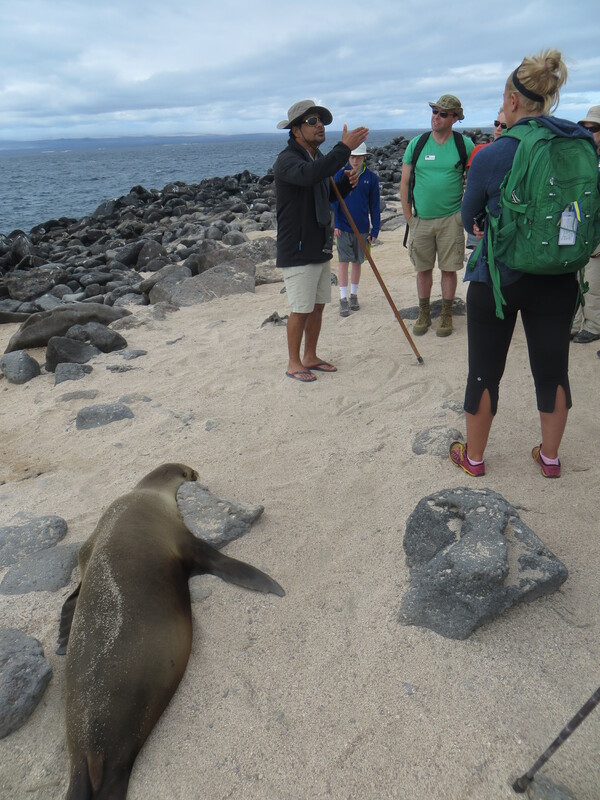 Visiting the Galapagos on an expedition ship does require physical mobility, as you’re accessing each island via zodiac and the terrain on each island is different. That said, there were plenty of options for people of all physical ability levels. 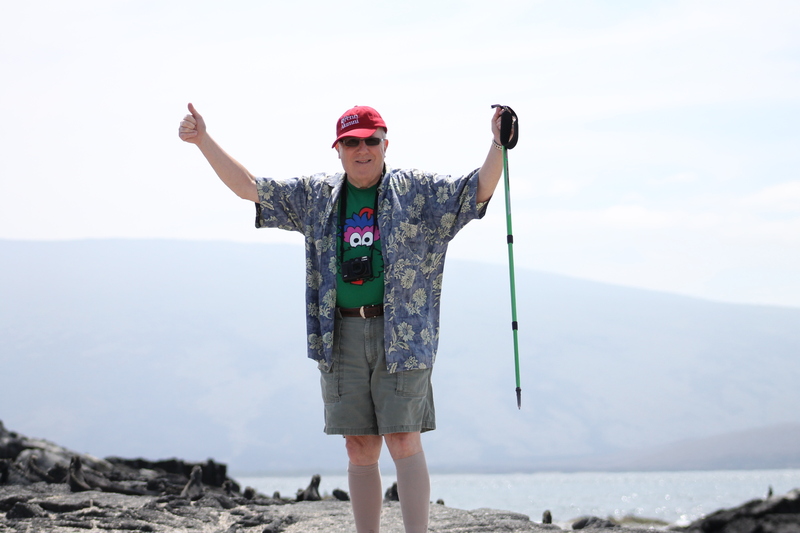 For example, while there was hiking each day, there was always an option for shorter walks or longer hikes. If you didn’t want to snorkel, you could ride the glass bottom boat. Not up for kayaking? Go on a zodiac ride! Your activity level over the course of the week will depend on your ability and interests, but you will not be without lots of options! 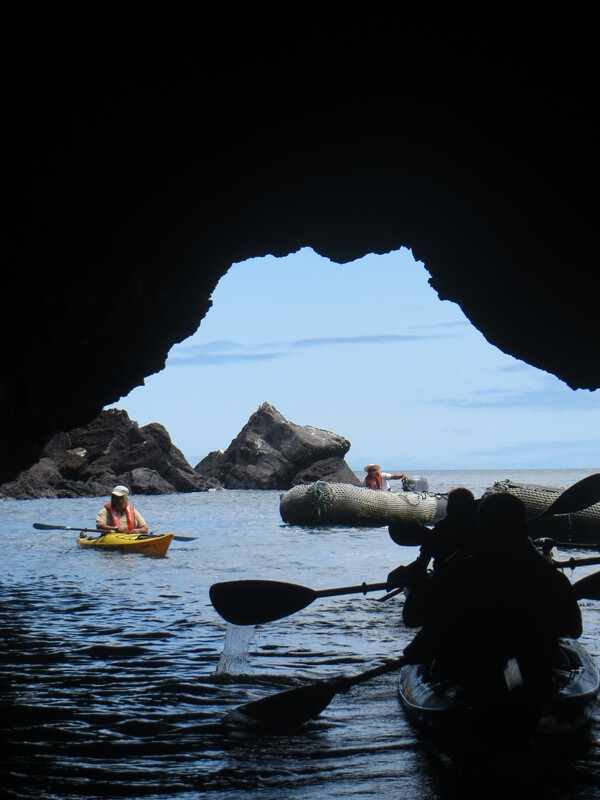 For example, one of my favorite days was when I completed what I called the “Galapagos Triathlon” – kayaking, snorkeling, and hiking all in the same afternoon! Yet while I was rushing on and off the ship with all kinds of gear, other passengers were enjoying a relaxing afternoon in a lounge chair on the deck or participating in only one or two of the activities. Could you touch the animals? 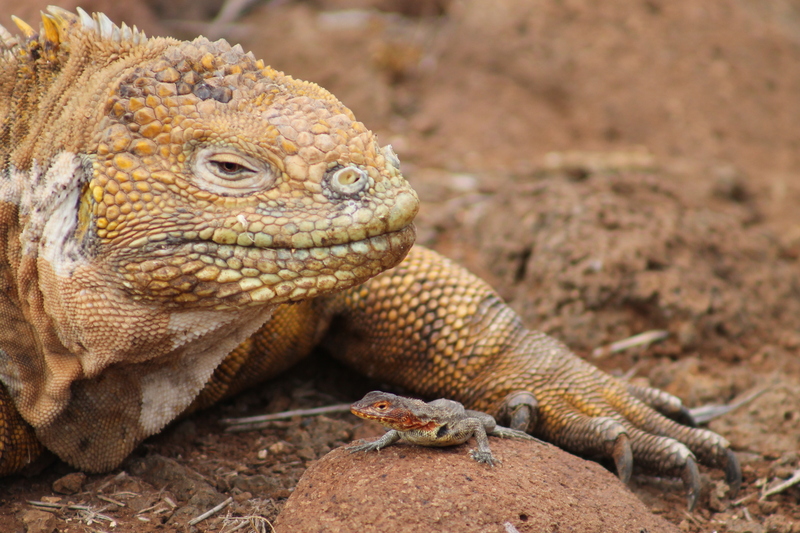 The absence of predatory mammals in the Galapagos means that you are nearly always within arm’s reach of endemic species unlike those you’ve probably ever seen before. 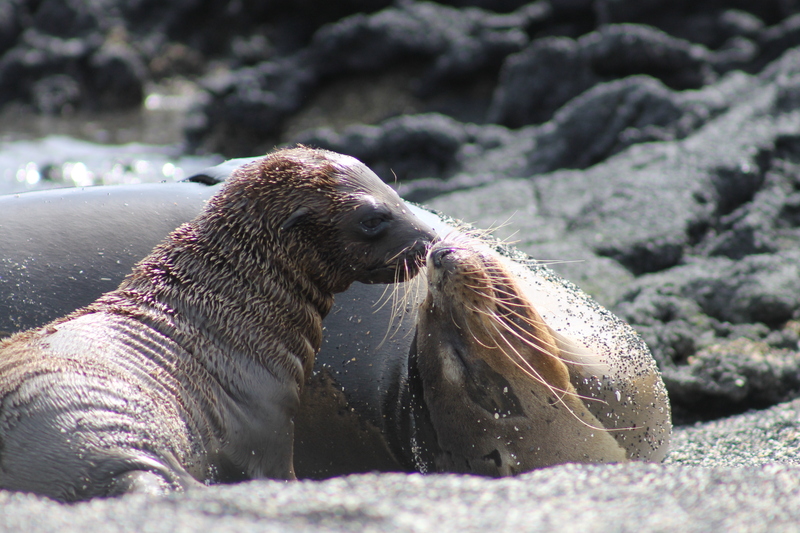 Sea lions, blue and red footed boobies, finches, tortoises, marine and land iguanas, flightless cormorants, sea turtles, sharks, and many others fill the days and camera memory cards, but physically touching them is against Galapagos National Park rules. 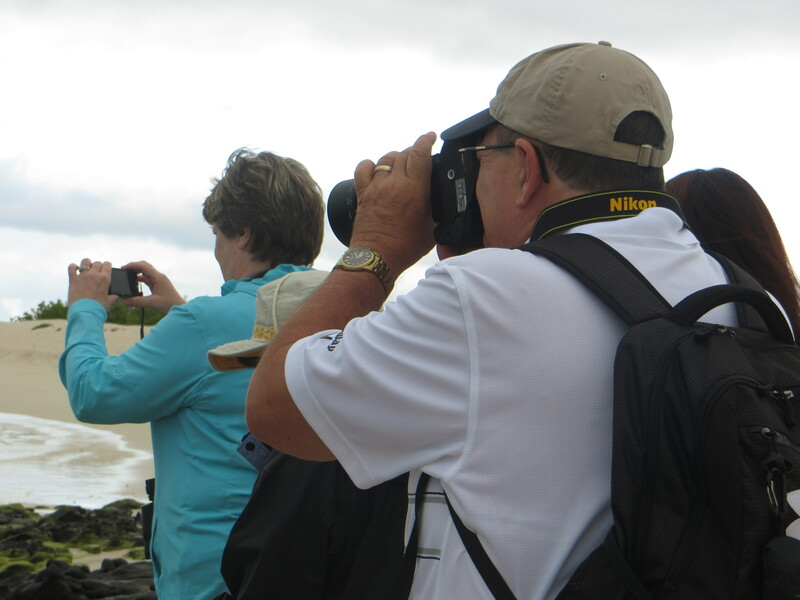 The guides ensure that all passengers follow these rules, so that the islands remain preserved for future visitors. Our guides were phenomenal. We had a group of naturalist guides who seemed to know everything about the flora and fauna of the islands and were incredible leaders on our hikes, zodiac rides, and snorkeling and kayaking adventures. The work of the naturalist guides was complemented by undersea specialists who shared fascinating video of what was happening beneath the surface of the water. Add in our Faculty Host, Michael Weisberg, who gave engaging lectures about Darwin, evolution, adaptation and speciation, and it was an incredible learning experience! How many Penn alumni were on the tour? and even enjoyed some exclusive chances to catch up and get to know one another, apart from the larger group. What kind of camera did you use? I probably get this question more than any other! I brought a DSLR, a point and shoot, and my iPhone. 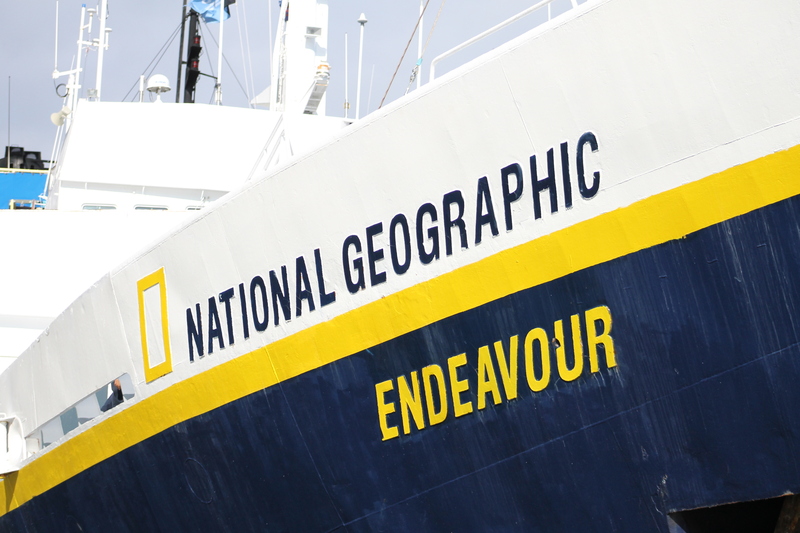 They all took great pictures, but that’s probably because every Endeavour trip has a Photo Specialist on-board and many of the guides are photo-certified, as well. They’re all very accessible and always looking out for passengers to ensure they get the best possible photos. On multiple occasions guides would make recommendations for my camera settings or photo angles. Their advice proved to be invaluable and I’ve even noticed I take better pictures with my new knowledge (get eye level with the subject!) now that I’m home. 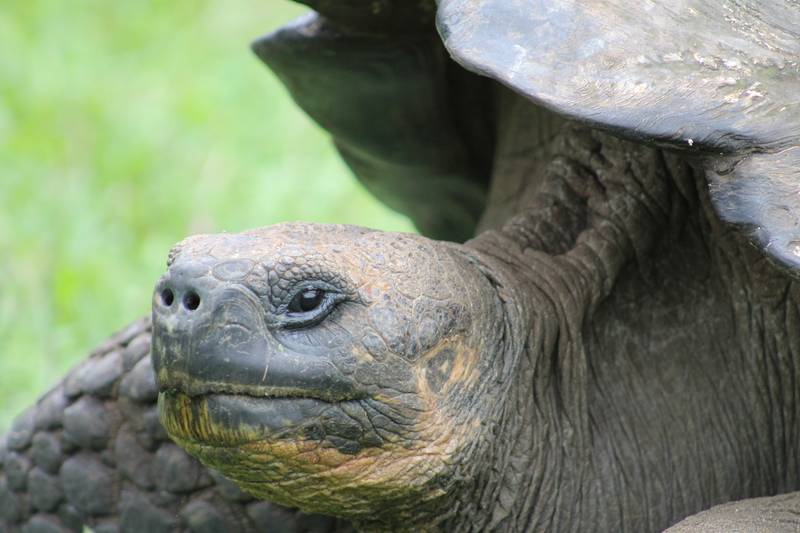 Would you go back to the Galapagos? Without a doubt! It truly was a magical trip. 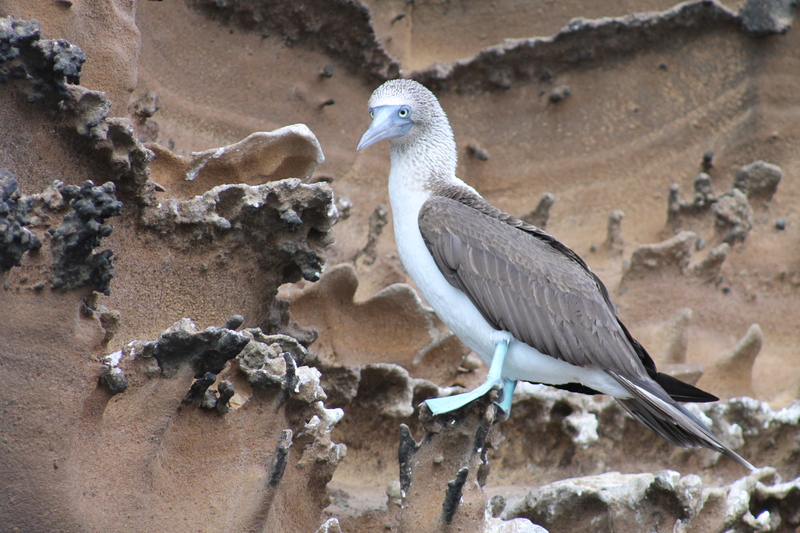 In fact, Penn Alumni Travel will be going to the Galapagos again in December 2015. 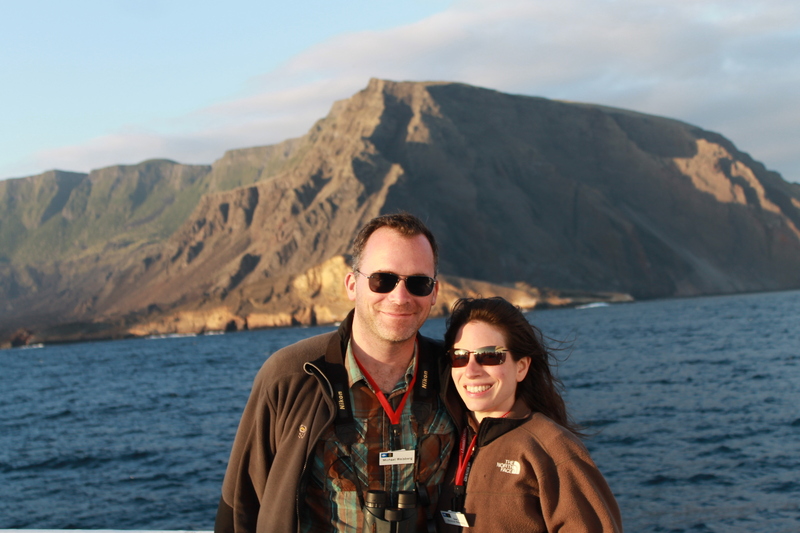 I also can’t say enough good things about our wonderful faculty host, Michael Weisberg, and our tour operator, Lindblad Expeditions. I eagerly welcome the opportunity to travel with both of them again and we’re making plans for 2016 now. Stay tuned for our full 2016 schedule to see when Michael Weisberg will be hosting and where we’ll be sailing with Lindblad. I hope to see you on our next departure! When I first arrived in Chicago 20 years ago, I attended several excellent events sponsored by the Chicago Penn Alumni Club, including a lecture at the Oriental Institute by one of the directors of Penn’s Museum. 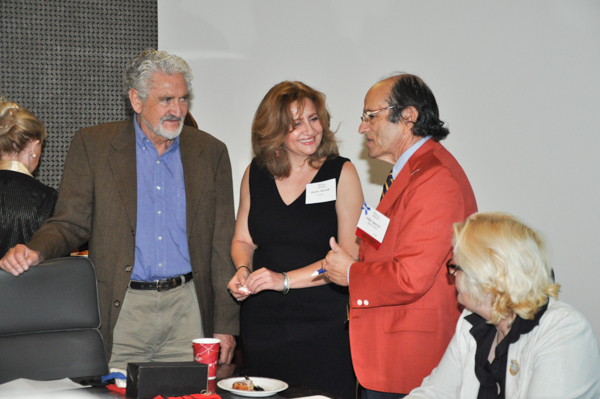 However, over the past decade few events were of interest to me, so last May when the Chicago Alumni Board issued an open invitation to attend its next Board meeting and help with programming, I took them up on their offer. The result is that a new interest group has been established—The Sages, those of us who graduated in the 50’s, 60, and 70’s. And the Board is now in the process of planning the kinds of programs that are of interest to our generation. Thanks to the encouragement and support of outgoing Club President Michal Clements and some great marketing support from Laura Foltman and the Alumni Relations Office, our first program, “An Evening with Shakespeare” on November 6 was a great success. Serendipitously Penn’s Shakespearean scholar Zachary Lesser had been invited to Chicago to make a presentation at the city’s Humanities Festival on the weekend of November 9. He agreed to come several days early to present a lecture for us prior to watching a performance of King Lear at the Chicago Shakespeare Theater. Luck continued to flow our way for finding a venue. 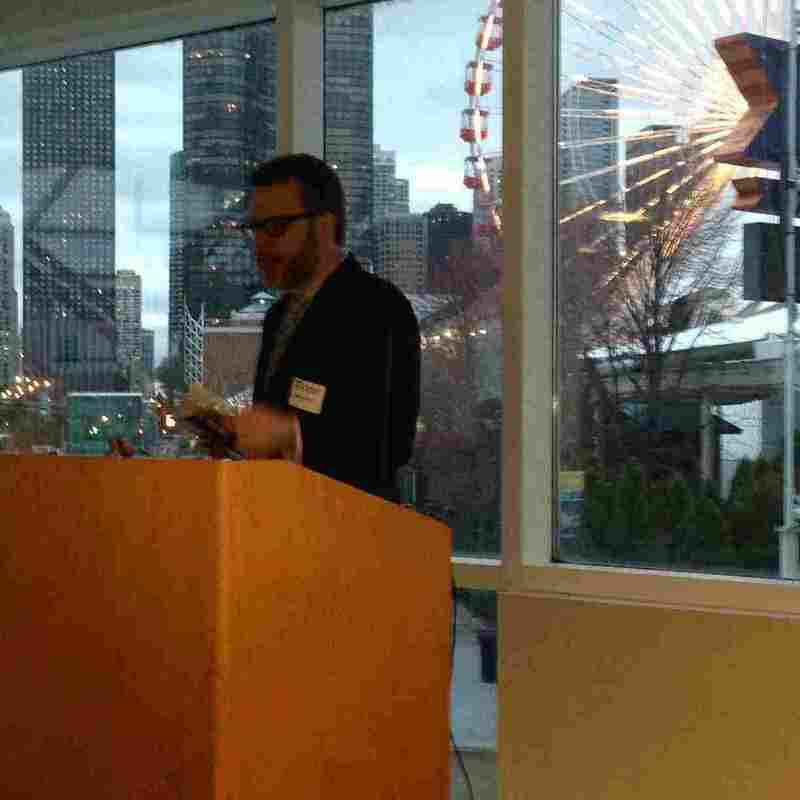 The Chicago Shakespeare Theatre graciously provided us with a space for the lecture in their scenic lobby overlooking Lake Michigan and the giant Ferris Wheel. With the sun setting over the Lake rather than the quad outside College Hall as a backdrop to our lecturer, we studied various versions of some of the passages of Lear from two of the quartos. 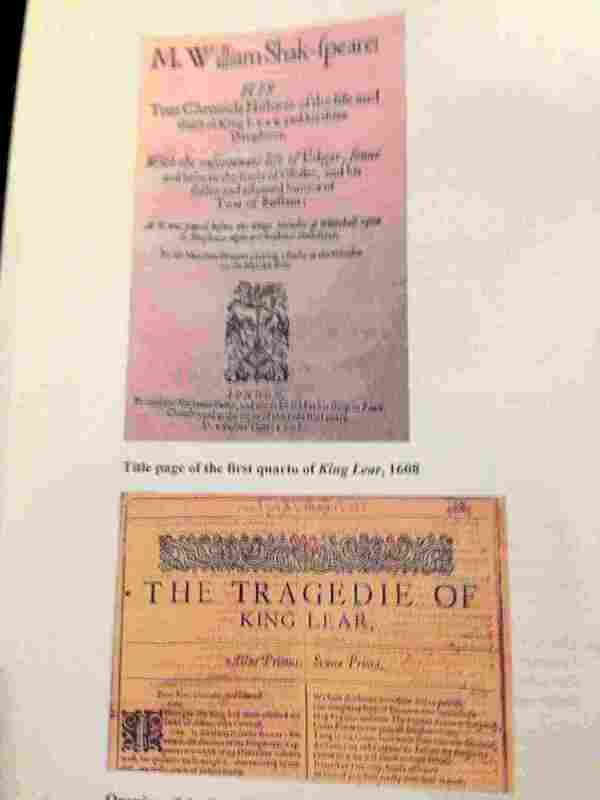 Our homework: to determine which of the quartos Barbara Gaines, the Director, had used for the final lines of the play. The lines in one quarto are spoken by the Earl of Kent, in the other by Edgar and sometimes a director splits the lines between the Earl and Edgar. Summoning those critical analytical skills that we acquired during our years at Penn, we watched intently as the final lines played out. To our amazement–and amusement–Gaines had split the closing lines three ways-the Earl, Edgar and the Duke of Albany. Between the lecture and the performance, we had dinner at Riva on the Pier, our discussions ranging from Shakespeare to our classes at Penn to suggestions for the next Sage event. While most of us were Sages, we ranged from the class of ’63 to the class of ‘93. Some of us were single, like Esther Hershenhorn ’67, others came with spouses or partners, like Larry Feis, ’80 and his wife Brenda. Among the more recent grads in attendance were Liane Jackson, ‘93, who was recently profiled in the Penn Club of Chicago online alumni newsletter, and her mother and Maureen Buchholz, MBA, ‘92. As we Sages reminisced, the younger members gained some insights into Penn’s history: they had never known there was a separate College for Women or the Pennsylvania News. And then the performance. The story was made more meaningful by the lecture, and Larry Yando as Lear was incredible. I’ve seen him in other plays, Prospero in “Tempest,” a quite different character from Lear, and he seems to simply become the character. The evening was fascinating, educational, enjoyable. And the group warm and friendly. I read recently in The Wall Street Journal that those of us who have reached the point of being a Sage are more apt to look for friendships that are meaningful. Penn was a meaningful experience for all of us. It is good to be able to once again find meaningful experiences through that institution.